HTML emailers, newsletters or just plain mailers (or whatever you call them) form the cornerstone of your online marketing activity. 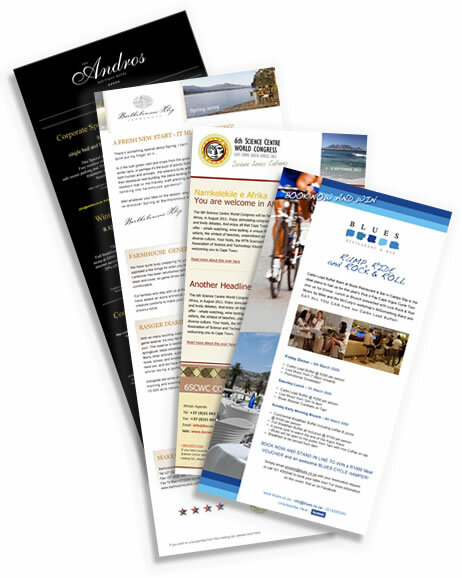 Surface Digital has produced many mailers over the years without ever having a single comeback, because we know how important that first contacts is. And we mean not a single error, as we check in Gmail, Outlook 2003, Outlook 2007, Hotmail and Thunderbird AND THEN we get your approval before dispatching. Whether it's 100 or 10 000 - all communications are equaly important to you, and our reputation is at stake here! We are experts - and this is a complex area!